In this topic i will explain the sites new features and functions. The topic is an ongoing guide and thus it is locked. To discuss a particular site feature you can make your own topic here in site support forum. 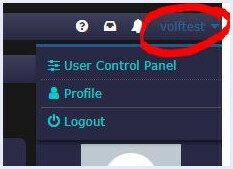 Re: Whats new on the site and how does it work? Drafts are created when you click the 'Save draft' button on the New Post or Post Reply page. Saved in draft are the title of your post, the message/post, the forum or topic that the draft was made in, and the date you saved it. Topic icons, attachments and other extras on the other hand are not saved in drafts so you shouldnt add them until you are ready to publish the draft. To continue editing a draft for future submission, head on over the the user control panel. To access the UCP click on your username in the headed, then click the user control panel link. In the USP you will find your drafts under Overview tab - Manage drafts. To continue editing click the 'View/Edit' link. If you plan to finish and post the message, click 'Load Draft'. To delete a draft, check the box next to the draft you wish to remove and click 'Delete Marked'. This should be useful for d2 txt files. The spreadsheets must be public to show on the forum. To do so in googles spreadsheet editor, select file menu in upper left corner, from there share on the internet. When thats done click share in the upper left corner and grab the url. The url to use is the one with usp=sharing, not the one ending with pubhtml. Would render as: Sorry but couldn't find a public diablo related video so you get to watch me building a tardis dvd cabinet for my sis from leftover junk. In addition to the visible bbcodes there are others that might be useful from time to time. Once you make progress on your project you just edit the post and update the number. Divbox is another bbcode that does not show among the bbcode buttons. Use when you want to bring arrention to something in a topic, tutorial or whatever. please dont overdo it though. Imageleft bbcode allows you to wrap text around an image. Repeating the same because im too lazy to write anything else in this example so here we go again - mageleft bbcode allows you to wrap text around an image. Repeating the same because im too lazy to write anything else in this example so here we go again - mageleft bbcode allows you to wrap text around an image. Repeating the same because im too lazy to write anything else in this example so here we go again - mageleft bbcode allows you to wrap text around an image. Repeating the same because im too lazy to write anything else in this example so here we go again - mageleft bbcode allows you to wrap text around an image. Repeating the same because im too lazy to write anything else in this example so here we go again - mageleft bbcode allows you to wrap text around an image. [imageleft]https://d2mods.info/forum/ext/dmzx/imageupload/files/681f3bb3d36e49c3cd4a0836ea658648.jpg[/imageleft]Imageleft bbcode allows you to wrap text around an image. Repeating the same because im too lazy to write anything else in this example so here we go again - mageleft bbcode allows you to wrap text around an image. Repeating the same because im too lazy to write anything else in this example so here we go again - mageleft bbcode allows you to wrap text around an image. Repeating the same because im too lazy to write anything else in this example so here we go again - mageleft bbcode allows you to wrap text around an image. Repeating the same because im too lazy to write anything else in this example so here we go again - mageleft bbcode allows you to wrap text around an image. Repeating the same because im too lazy to write anything else in this example so here we go again - mageleft bbcode allows you to wrap text around an image. We had a gallery on the old site but the way it was setup didn't exacltly make it popular. Moderators never got notifications so allot of images never got approved etc. The new gallery has 2 categories that are open to all registered members and no approval is needed. 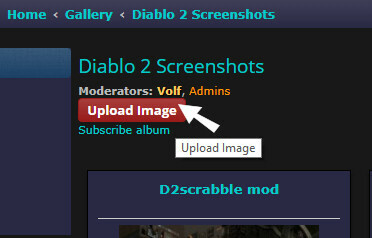 To upload an image head on over to the gallery pick a category, Diablo 2 Screenshots for your d2 and d2 mod screenies, and Diablo 3 Screenshots for your diablo 3 gameplay screenshots. Once in the appropriate category click the upload image button. Uploaded images can be posted in the forums, using regular image bbcodes and the direct link or use the gallerys image bbcodes. Clicking the thumb takes you to the full size image in the gallery. Screenshot of the week is a closed gallery where only staff members can upload, same with history of the keep screenshot. You can also see how many uploaded images each user has in their profiles, the field is simply labeled images. Table Bbcode is another so called hidden bbcode that does not have its own buttons in the post editor. 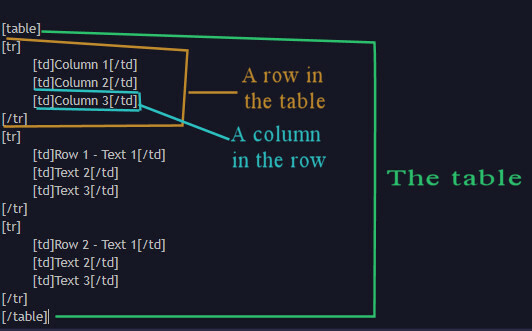 Between the table row tags we have the table column tags that start with [ tr ] and ends with [ /tr ]. Between them you add your text. Alternatively for the first row you can replace the table row [ tr ] tags with table header tags [ th ] and you will get a fancy header row as in the examples. Below how it would look without the table header tags on the first row. If this seems to complicated you can google for bbcode table generators, teamopolis.com has a good one. using table3 and td3 you will get a table without borders and background. Once you make your 100th post you will automatically be added to the group. • Gets a special rank image. Once you make your 500th post you will automatically be added to the group. • Gets a special username color. Once you make your 1000th post you will automatically be added to the group. • Can change their own default usergroup. • Can post knowledge base articles without moderator approval. Sharing a youtube video with the community is now ridiculously easy. Just grab a video url from youtube, hit the new video button in the gallery, pick a category and hit submit. You dont need to make your own videos, you can share videos made by others unless the author has prevented it. If you do want to make your own screen capture videos to show off your mod and dont have a good screen video capture program then hit windows button + G. This starts windows built in screen capture software and its pretty good (this and all my other resent videos were captured with it). Works on windows 10, maybe earlier versions (can't remember). To grab a file url just go to the filecenter, right click a download button and copy the link.